Never let precious food go to waste again. About 1.3 trillion tons of food produced worldwide goes to waste every year, according to the United Nations Food and Agricultural Organization. This is not only bad for the millions of people who are starving every day, it also poses a serious threat to the planet. Food garbage, once it decomposes, releases methane—a greenhouse gas that’s 86 percent stronger at trapping heat than carbon dioxide. In fact, food waste is a worse pollutant than cars and other forms of transportation. While governments around the world don’t fall short in imposing stricter measures to reduce food waste, real change starts from home. We should all make sure all the food you buy goes where it’s supposed to go: Your stomach. Here are some of the most common grocery items you might have been storing wrong all your lives, and how you can keep their shelf lives longer. Storing cabbages, carrots, potatoes, and the like may sound easy—there’s a dedicated vegetable crisper found in refrigerators, after all. But fitness website ActiveBeat highly discourages putting together potatoes and onions in the same place since their gases and moisture will make them both spoil quicker. Meanwhile, putting your tomatoes outside the fridge will make them last longer, according to green design website Inhabitat. It’s also best to wrap leafy vegetables in paper towels to absorb excess moisture. If you want your eggs to last for up to three weeks, store them in a cool, dry, and dark place. 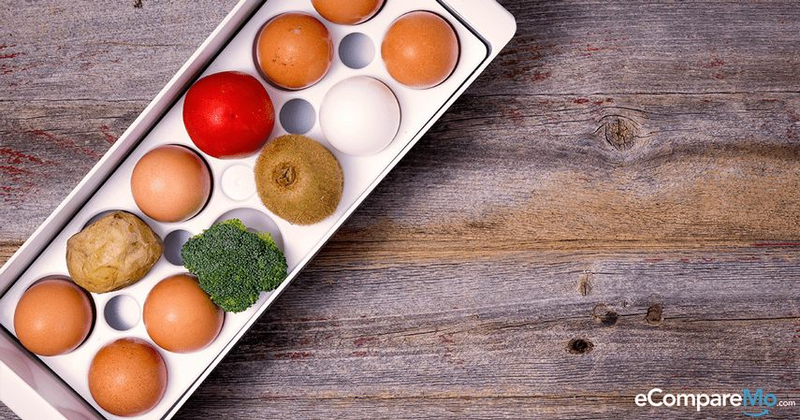 If you’ve been getting your eggs by the dozen, you may want to skip putting them on your fridge’s egg tray and keep them in between the carton trays that come with them. If you’re putting cooked eggs in the refrigerator, cool them down first and consume them within three to four days. Chicken is one of the trickiest food items to store; improper storage of the meat may spell salmonellosis, which can cause fever, diarrhea, abdominal cramps, and Reiter’s syndrome, a complication similar to arthritis. While chicken isn’t meant to last long—it is highly recommended that you refrigerate it for four days max—you can avoid cultivation of salmonella by putting it in the freezer. As for cooked chicken, do not let it sit at room temperature for more than two hours. Refrigerate it as soon as it cools down, as bacteria grows quickly in poultry. Most important, don’t let chicken meat get into contact with other items in the fridge; keep them in separate containers, such as resealable plastic bags. Most fruits only last for a couple of days after they become ripe; because of this, they should be consumed immediately. If you can’t do so, leave them for a few days in room temperature but keep them away from direct sunlight. When the slightest hint of discoloration appears on fruits, you may put them in the refrigerator to further prolong their life for up to one week. Alternately, freezing them will keep them fresh longer. Got any food-storage tips for us? Share them in the comments section below.